Exfoliating the skin helps to remove dead skin cells from the top layer of skin and promote a healthy, vibrant looking complexion. This is particularly important for more mature skin as the body’s ability to renew itself and shed dead skin cells decreases as we age. If dead skin cells are not removed they can gather and leave skin feeling and appearing dull. After exfoliating fresh skin cells below are revealed which allows moisturisers, oils, and serums to penetrate deeper into the skin and be more beneficial. Exfoliating is great for increasing blood circulation which can help improve skins appearance and provide a more youthful look. Exfoliating can help to lift off dirt, make-up, and provide a deep clean for the skin to reveal a more radiant you. 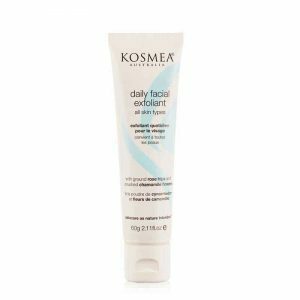 Kosmea’s Daily Facial Exfoliant is a non-abrasive formula that gently exfoliates the skin and is gentle enough that it can be used daily. If this is too much for your skin we recommend using it 2-3 times a week. With a combination of crushed rose hips and soothing chamomile flowers working together, these two ingredients refine and polish the skin without stripping it of its protective barrier. Rice flour and Shea Butter ensure that skin is left moisturised and nourished. 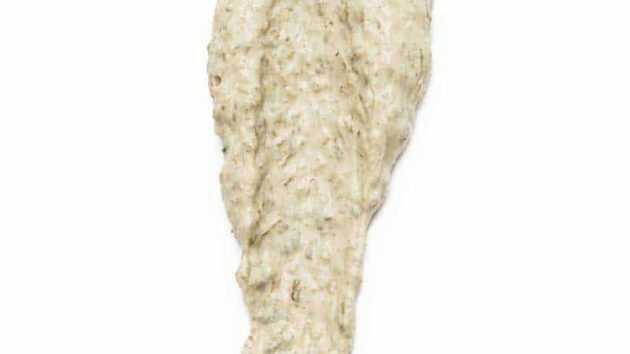 You can read more about our Daily Facial Exfoliant here.